Maxx Extend Reviews (NEW 2019) - Does Maxx Extend Work? 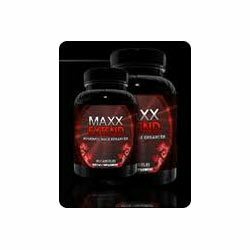 Maxx Extend is intended to support the size of erections, improve libido and stamina, and help men last longer. The website – featuring kissing couples and barely-dressed women – will definitely be visually appealing to men. Those who are skeptical about such products will instantly notice that there are no clinical findings, scientific research, or even testimonials on the site. Customers need to return the product within 10 days of placing their order to qualify for a refund, which is an extremely short time frame. Instead of revealing the price of their product, the makers of Maxx Extend offer customers the chance to get a “free trial.” It is hardly free, however. Unless the customer cancels in 10 days their credit card is charged $87.13. The new product is shipped and new charges are applied every month. What are the Ingredients in Maxx Extend? There are several promising ingredients in Maxx Extend, including yohimbe bark, L-Arginine, and G-protein. A basic description is provided for each. What are the Benefits of Maxx Extend? What are the Drawbacks of Maxx Extend? There are plenty of products out there that contain the same ingredients as the ones found in Maxx Extend. Therefore, customers might want to purchase a comparable supplement from a company that has a better return policy and doesn’t apply automatic charges to customer credit cards every month.